About – Tower Fitness Equipment Services Inc.
Tower Fitness is a proud British Columbia sales representative for the full line of TRUE Fitness and Paramount cardio and strength equipment, as well as Stages indoor cycles, HiTrainer, Shuttle Systems, Dynamic Fitness and Strength, Prism Fitness products, and UMAX dumbbells and accessories. Tower Fitness is also an authorized seller of Concept 2 rowers and ski ergs, and other small fitness and conditioning goods. Tower Fitness Equipment Services specializes in selling, installing, maintaining, servicing, repairing, and moving commercial and residential fitness equipment. Tower Fitness Equipment Services Inc. has an established business location located in the Tilbury Industrial Park of Delta, BC and is a locally owned, BC company. Our 8,000 sf. facility includes office space, a show room, a receiving dock, warehousing, and a repair and fabrication shop (with welding and upholstery capabilities). We have been operating from this location since January 2011 and expanded our space in April 2015. 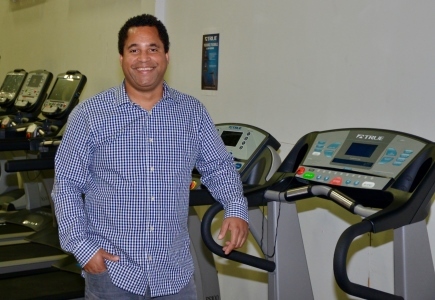 Tower Fitness has been a company since 2003, beginning as the proprietorship Tower Fitness Repairs, and then incorporating as Tower Fitness Equipment Services Inc. in 2008. Being centrally located in Delta, British Columbia provides us an ability to provide convenient, on-site service throughout Metro Vancouver, Squamish, Whistler and the Fraser Valley. We also service Vancouver Island, the Sunshine Coast, and the interior of BC. Our varied client list includes: residential properties, community centres, schools, hospitals, police departments, hotels, corporate/company gyms, multi-unit residential condos and stratas, fitness facilities/gyms, personal training studios, spin studios, physiotherapists, restoration companies, high-end yachts, and residential properties. We focus on selling only top quality, long lasting equipment with some of the best designs in the industry. Our certified, insured technicians continually upgrade their skills to best service treadmills, elliptical trainers, stationary bikes, stairclimbers, stepmills, rowing machines and strength equipment. We are an authorized warranty and non-warranty service provider for all brands we sell, as well as many others. We feel with being able to directly service our customers from the point of sale, through installation, through warranty repairs, during maintenance, through non-warranty repairs, and with any other special request, that we can provide an excellent all in-one service that benefits the customer and all end users of the product. What can Tower Fitness Equipment Services offer you? Fitness equipment expertise. Let us help you find the right type, make and model of fitness equipment for your commercial fitness facility or home. On-site service. Tower Fitness comes to your fitness facility or home to save you valuable time. On-going fitness equipment maintenance. Tower Fitness is happy to assess your needs and tailor a preventative maintenance program to fit your fitness equipment and your budget. Our parts department gets you the right part when you need it through our network of major fitness equipment manufacturers. Tower Fitness keeps your fitness equipment working for you and looking its best. Our customized services include: re-upholstering, re-cabling of strength training equipment, welding and refinishing of painted or powder coated steel frames. Convenient email and phone contact with knowledgeable fitness equipment product advisors and technicians. Tower Fitness Equipment Services in Delta, BC provides skilled exercise and fitness equipment repair services in British Columbia and can fix your exercise equipment, including treadmills, ellipticals, bikes, rowers and strength equipment. Tower Fitness supplies and installs rubber gym flooring for fitness facilities and home gyms, as part of overall fitness equipment packages. Tower Fitness Equipment Services refurbishes strength equipment and gyms, as well as cardio fitness equipment. Make used fitness equipment look new! Tower Fitness will help you align the best products for your needs, budget, and usage, or provide any other fitness equipment consultation and advice you are seeking. We know fitness equipment and all related to it! With our years of welding, fabrication and woodworking expertise, Tower Fitness Equipment Services Inc. has the ability to build customized products that fit your space and/or other unique needs.